The speed of your technology is only as good as the cable infrastructure it runs on. It’s a key part of any network, yet often overlooked. 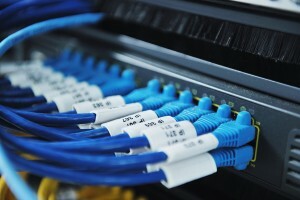 BCS has provided structured voice and data cabling services to its customers since 1983 in Hampton Roads and beyond. We’re believers in quality workmanship on every project. When you need voice and data cable planning and installation, take comfort knowing that our design team and each member of the voice and data cabling team is certified in installation, termination and testing. Contact us today to learn more about the structured cabling services from BCS Voice & Data. Call 757-497-3100. BCS is a Panduit Partner business and Class A Contractor. Getting a no-obligation estimate for your structured cabling needs is just a few clicks away.